All donors who fund projects at a level of $5,000 or more are recognized in our programming literature, both printed and electronic, as Immortals. * Eligible for election to the Faulkner Society’s Executive Board. Note: Significant In-kind contributions, such as credit card reward points for use to book winner, judge travel, are recognized for board eligibility purposes as cash contributions. Members who solicit $5,000 or more from third parties are eligible for Executive Board service. A package of benefits specific to the gift. (Donors of prizes for the literary competition, for instance, are allowed to name the ) Details of the benefits package are negotiated with the donor to the donor’s advantage.. Reserved table for 10 at Faulkner for All and two sponsor passes for all events of Happy Birthday, Mr. Faulkner! Recognition in the festival program and publicity surrounding the founders festival. Significant recognition in the Society’s journal, The Double Dealer. Subscription to The Double Dealer. 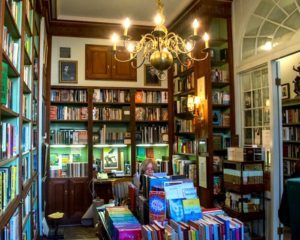 Immortal memberships include a subscription to the Society’s literary journal, The Double Dealer; invitations to all Society events, and a 10% discount on all new books purchased through Faulkner House Books. 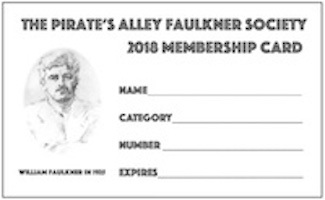 Immortal members ALSO receive a reserved table for 10 for the Society’s gala black tie salute to Faulkner, and all great writers, Faulkner for All, and four passes for all other events of the founders’ weekend festival, Happy Birthday, Mr. Faulkner!